Molecular typography is the study of the chemical and biological underpinnings of type. Woody Leslie has spent over a year researching this obscure corner of science where biochemistry meets typography. 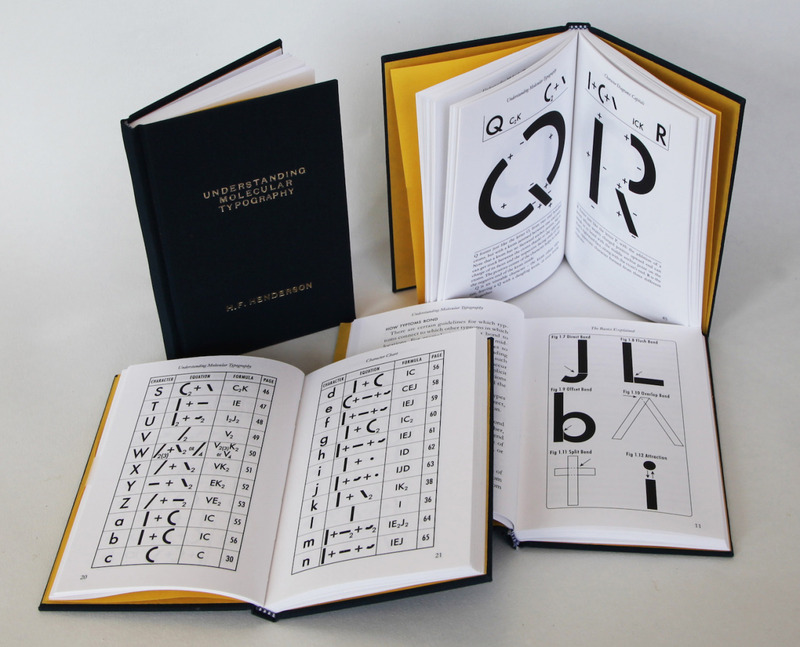 As part of the TALKS series by Meekling Press, Leslie will present his research, including a detailed dissection of H.F. Henderson’s seminal work, Understanding Molecular Typography. The basics of molecular typography will be explained through lecture and diagrams, followed by an analysis of the ramifications of living type in our daily lives. Thursday, October 8th, at 8pm. Follow link for location and more details.